First of all, I want to say thank you to everyone for all the love on the release of my new sewing patterns! It feels good to have my first pattern out there, so stay tuned as I feverishly finish many more in the works that I can’t wait to share with you. 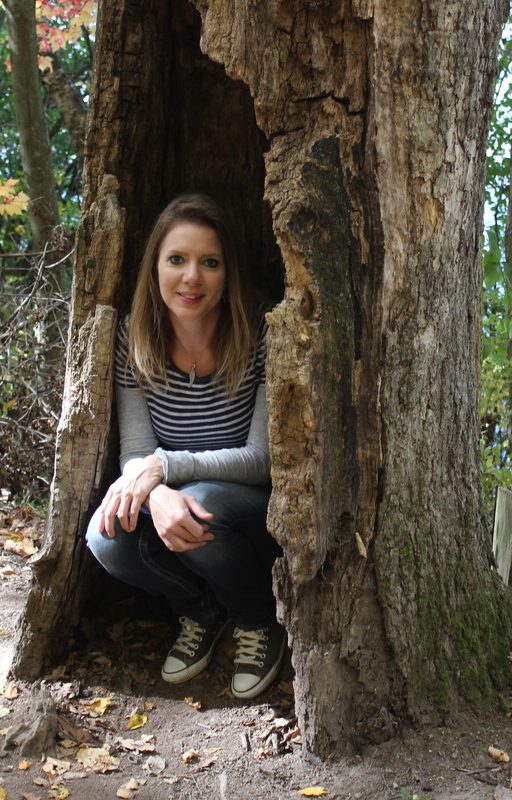 I am starting a new column here on my blog to share with you things I’ve baked or cooked lately that we loved, since I really love to bake and cook, or recipes I’ve found that I want to try. 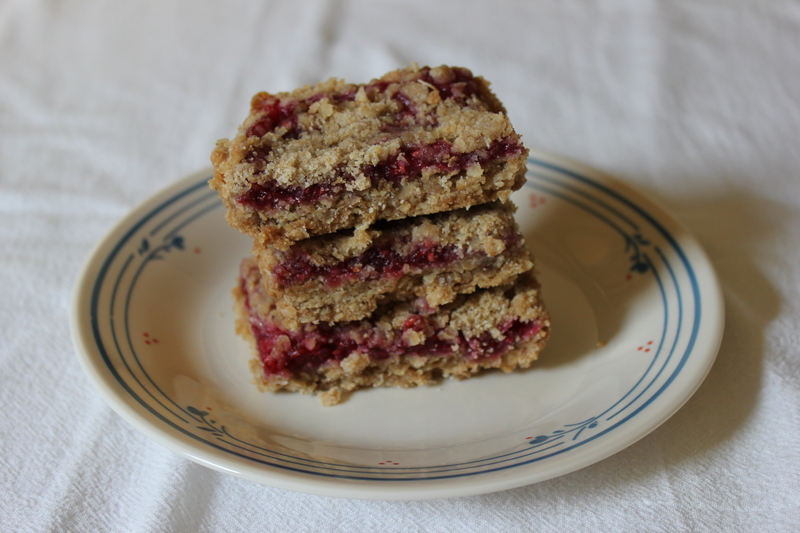 I made Raspberry Oatmeal Bars recently. They remind me of apple crisp, one of my favorite desserts. I might add that they are also good for breakfast! I followed Amanda’s recipe, which can also be found at allrecipes.com. I was happy to be able to use homemade raspberry jam I froze last year after an abundant raspberry crop in our backyard. 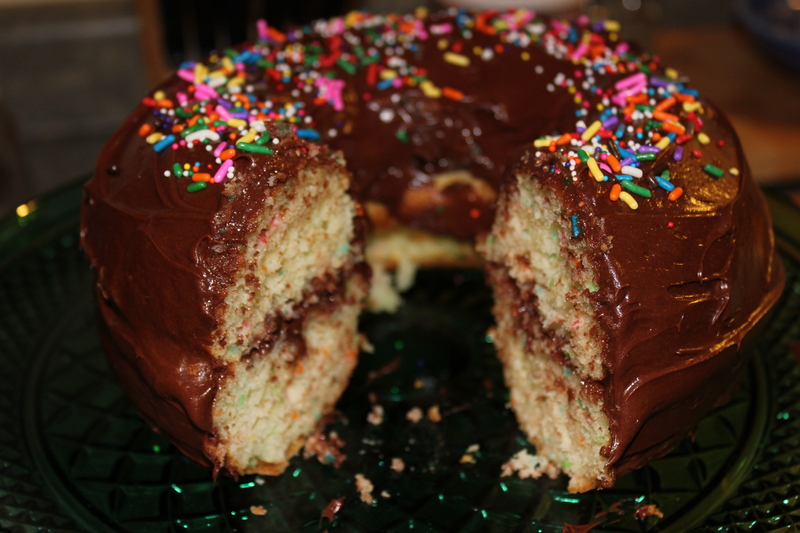 I think the highlight of our baking endeavors was the confetti cake we made in our giant donut cake pans on Saturday night. I say we because we made it together: I baked the cake and Dave frosted it. He likes to do that part. It was a last-minute, spontaneous decision, so we used a box mix. A small piece was just perfect after our nightly walk under the stars. 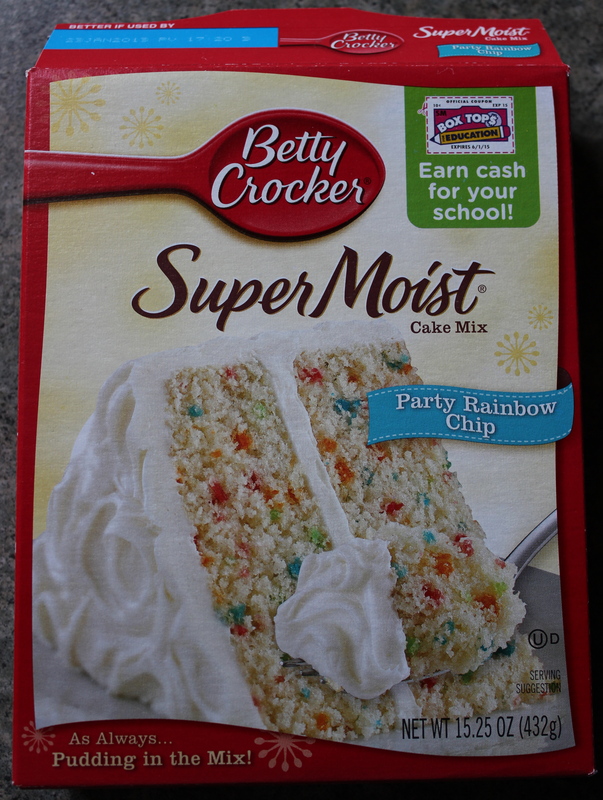 Have you baked anything delicious and decadent lately? Thanks for stopping by! Both look absolutely delicious – I might try the raspberry one myself – thanks for sharing the recipe. Yum! I’m afraid I’d eat that whole pan of raspberry bars myself. I bet they’re extra good with homemade jam! OMG!!! Terri, your husband must be the luckiest man alive!!!! Oh my that first slice looks delicious. Thanks for sharing. Just one question though, when you say all-purpose flour is that plain flour or self raising flour? They look good! 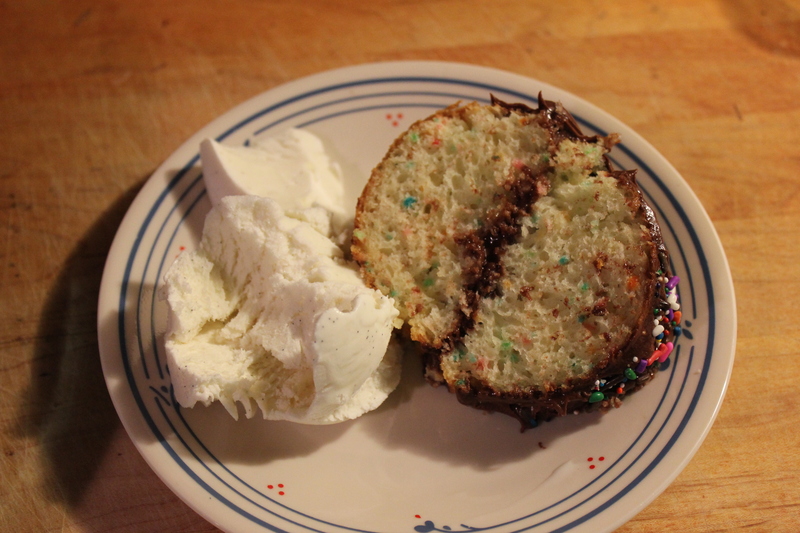 Confetti cake is my favorite! E. asked me to make cake pops with her yesterday, so we did. We didn’t frost them, though. We just like them as plain cake shaped like a donut hole! I wish I could have those now with my afternoon coffee! Looks so delicious! thank you for recipies! I think this is an awful idea for a new column–but seriously, ONLY because these look so scrumptuous and I’m trying to be good on my Weight Watchers plan. Really wish I could come over to your house and eat some of your baking fresh out of the oven. You are so funny, Cindy! I promise I will try to share some healthy things from my kitchen too. Good for you for doing Weight Watchers!